The advent of next generation sequencing technologies (NGS) has deeply transformed today's biology. Thanks to this new approach many areas of study have been developed and scientists have the ability to analyze nucleic acids of any biological entity. Metagenomics is one of the most recent and promising fields among NGS applications. It allows microbial community analysis within a specific environment in order to obtain knowledge on genomes and taxonomic composition of environmental microbes and entire microbial communities. In this context, the human microbiota, represented by the total ecological community of commensal, symbiotic, and pathogenic microorganisms coexisting in our bodies, is drawing research's attention as it plays a central role in maintaining healthy status or leading to disease conditions. 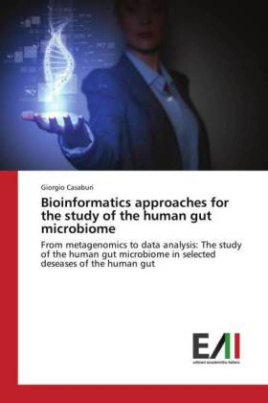 Particularly, the human gut is colonized by thousands of different microbial species, of which several billions are bacteria involved in important functions: gut permeability, immune system development and activation. The aim of this project is to deeply analyze the gut microbiome composition, from duodenal biopsies of Crohn's disease and Celiac disease affected patients.